This year our club ran 3A for the ARRL Field Day. Radios included an Icom IC-756 Pro, TenTec Omni VII, Icom IC-746 (for the GOTA) and a Icom 7000 for VHF plus HF spare. All these radios performed quite well despite the high temperatures. 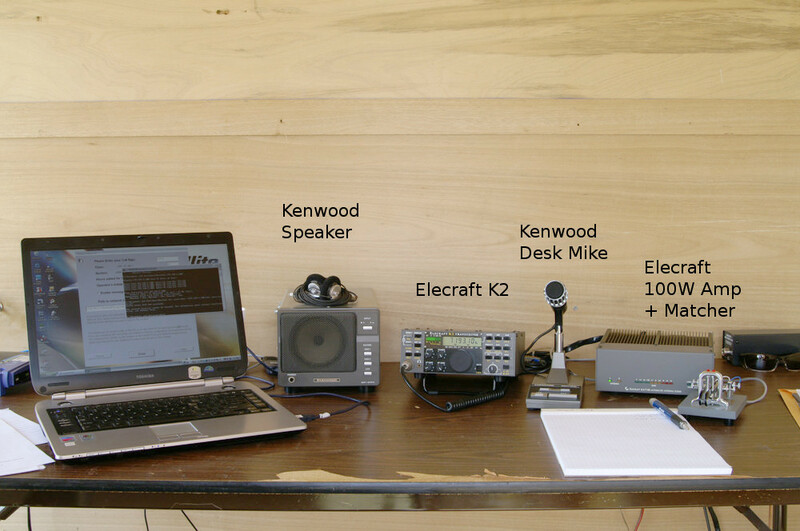 The 100 Watt Elecraft K2 stood above the others not necessarily on performance, but the elegant way the radio’s owner configured his K2, 100 Watt Amplifier and 100 Watt Matcher.